Ronald E. Cahill, partner and chair of Nutter’s Intellectual Property Litigation practice group, has been selected as a Managing Intellectual Property “IP Star” for 2017. 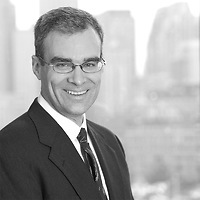 Nutter was named among the IP Star firm rankings. The IP Stars are intellectual property professionals who have been highly recommended by their peers and clients. Managing Intellectual Property conducts an exhaustive survey and research that covers 80 countries to create rankings of attorneys and law firms that show exemplary work in the IP field.